As it turned, my two picks of the week for this edition of the blog were the two new releases I saw at the cinema: The Bourne Legacy and Shadow Dancer. The Bourne Legacy was an unexpectedly enjoyable experience - my desire to see the picture had been somewhat diminished by a number of unfavourable reviews, but from my point of view, the movie was about as good as it could possibly have been, given that this latest installment in the franchise was lacking previous director Paul Greengrass and star Matt Damon. Tony Gilroy (who has written the scripts for all of the Bourne movies) makes the step up to director very succesfully, broadening the scope of the story from the exploits of just one man to reveal a massive operation of Bourne-like super spies. As we join the story, Bourne's actions in the previous movies have threatened to expose the CIA's top secret programme, and the Agency decides that the only solution is to eliminate all of its remaining operatives and any other loose ends. 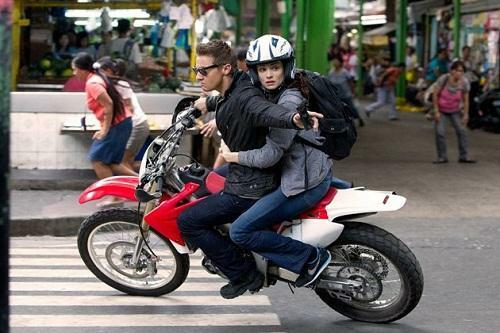 These loose ends include agent Aaron Cross (Jeremy Renner) and scientist Marta Shearing (Rachel Weisz), who are forced to go on the run from their former employers. All in all, the movie feels like one of the better episodes of The X Files, dealing as it does with a conspiracy which reaches to the highest levels of government. Renner steps in the shoes of Matt Damon admirably, and he's ably assisted by Rachel Weisz and Ed Norton (as a senior CIA director). It's definitely up there with the best of the Hollywood movies I've seen this summer. Shadow Dancer is a similarly tense tale of secret service operations, though told in a rather more low key manner. Andre Riseborough stars as Colette McVeigh, a failed IRA tube bomber who is persuaded by an MI5 officer (played by Clive Owen) to turn informant against members of her own family. The movie is notable for the convincing portrait it paints of Belfast during the Troubles, with a particularly impressive scene set during the funeral of an IRA assassin. Above all, Riseborough gives a fantastic lead performance as a haunted young woman living in constant fear of being revealed as an informant and of being betrayed by different factions within the British intelligence community who are operating at odds with one another. A couple of films this week stood out for the wrong reasons. 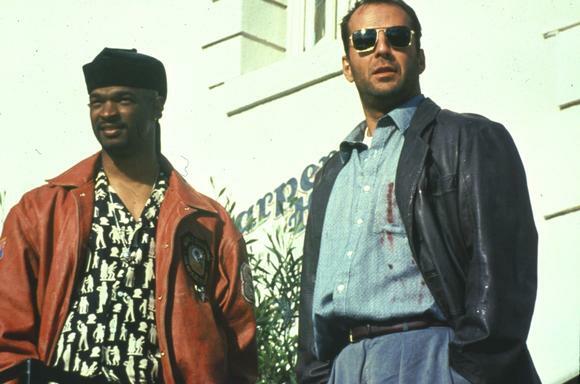 Firstly, The Last Boy Scout, a pretty lame action thriller with Bruce Willis and Damon Wayans. It seems that idea was to transplant the wisecracking private eye routine of Philip Marlowe into early '90s LA, the execution of the idea isn't carried out too well. 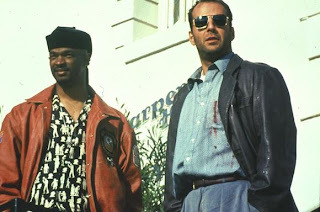 Shane Black's script goes through just about every cop movie cliche in the book - the mismatched partners, angry police chief, slimy and sadistic villain - and attempts to hide the fact that he's got nothing new to say by adding in plenty of explosions, gunfights and foulmouthed children. I'm going to be fairly generous, and award the film half marks, as some of Bruce Willis' one liners (particularly in the early going) were fairly amusing. Still, I can't see myself returning to this one in a hurry. Secondly, we have Possession, which has to be the strangest film I've seen in months. I don't even know where to begin in describing this one - all I can say is that it's an exploration of the breakdown in the relationship of a married couple, played by Sam Neill and Isabelle Adjani. After a relatively sedate opening forty five minutes, the movie jumps into full-on bizarro mode as it is revealed that the reason for the marital break down is that Adjani has been sleeping with a weird human-octopus hybrid type thing on the side. This octo-man apparently has a strange hold over her, as she becomes compelled to kill anybody who will stand in the path of her disgusting new love affair. At least, I think that's what was going on; the final half of the film was almost entirely incomprehensible to me. Now, I've been known to enjoy a crazy, inexplicable film in the past (see, for example Naked Lunch and Inland Empire), but being confusing is the least of this movie's problems. The script seems to have been fed into Google translated Norwegian and back out again, as nothing anybody says over the course of the two hours comes even close to resembling human speech. 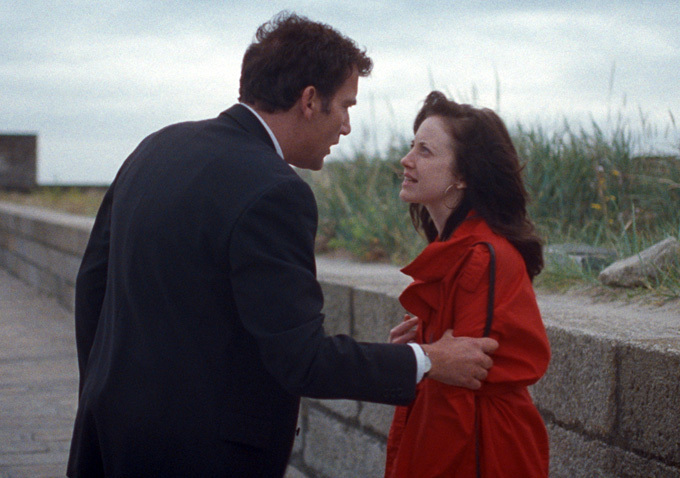 Subplots in the movie drift in and out, apparently at random and the actors all seem to be having a competition as to who can act in the least naturalistic manner (for the record, Isabelle Adjani wins). Despite all of the above problems, I wouldn't say watching it was a complete waste of time - there are some highly memorable and macabre images within the film which will stay with me for a long time. It's just a shame that the director wasn't able to create a coherent structure in which to fit those images. 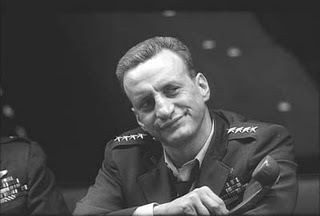 "General 'Buck' Turgidson: Mr. President, I'm not saying we wouldn't get our hair mussed. But I do say no more than ten to twenty million killed, tops. Uh, depending on the breaks."